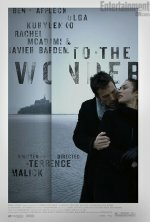 Terrence Malick's 'To the Wonder': new poster features Ben Affleck, Olga Kurylenko and the 'wonder' of the title. After visiting Mont Saint-Michel — once known in France as the Wonder — at the height of their love, Marina (Olga Kurylenko) and Neil (Ben Affleck) come to Oklahoma, where problems soon arise. Marina makes the acquaintance of a priest and fellow ... show all exile (Javier Bardem), who is struggling with his vocation, while Neil renews his ties with a childhood friend, Jane (Rachel McAdams). An exploration of love in its many forms. changed the title from "Untitled Malick Love Story Project" to "To the Wonder"
Reclusive director Terrence Malick’s Tree of Life doesn’t unspool until May 27, but he’s already shot his next film: an untitled romance starring Ben Affleck and Rachel McAdams. 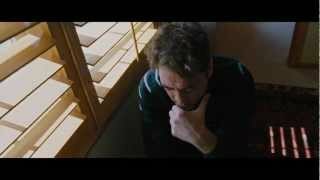 The movie with a top secret plot also features Javier Bardem and Olga Kurylenko. Terrence Malick's newest, and still untitled production, long rumored to be shooting in Malick's home town of Bartlesville, Oklahoma has indeed began production.